Wheels on the Bus go - clash, boom, bash! Last week, I had the opportunity to gloat a bit about our sneak preview of the fantastic new LeapFrog Touch Magic Rockin' Guitar - which Zion has been jamming on daily! This week - I want to share with you another great product in their new Touch Magic line - the LeapFrog Touch Magic Learning Bus! 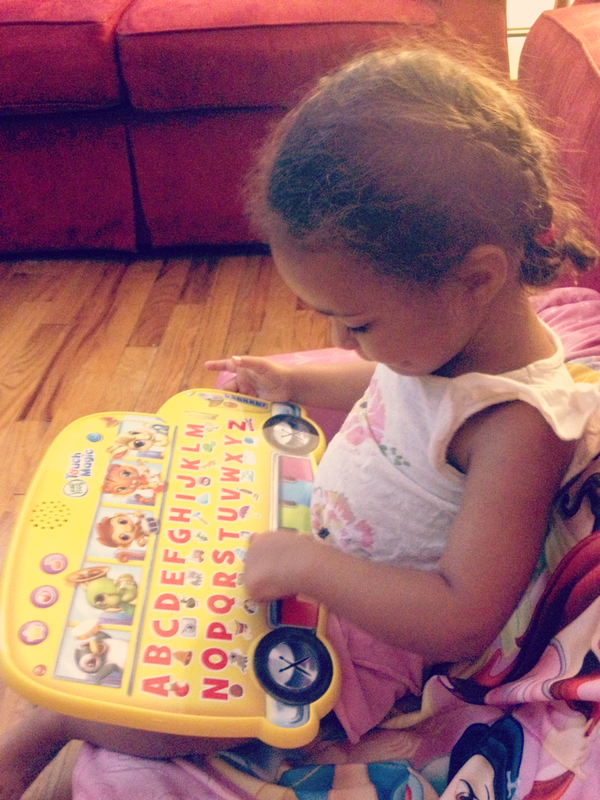 This is my favorite new alphabet learning letters toy I have come across! Music & learning fun with every little touch! and Music, which includes fun sing-along songs about the alphabet, motion and more. • Explore 40+ touch points including letters, piano keys and more! Our favorite feature on the Touch Magic Learning Bus are the adorable passengers! 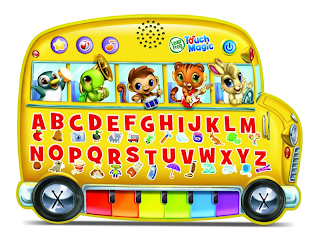 Each of the cute little characters on this letters toy play a special instrument - and when you are using the bus in music mode - they can play along with their instrument when you press them. Another fun musical feature is the mini keyboard and drum symbols at the bottom of the bus. The wheels on this bus go clash, boom, bash! 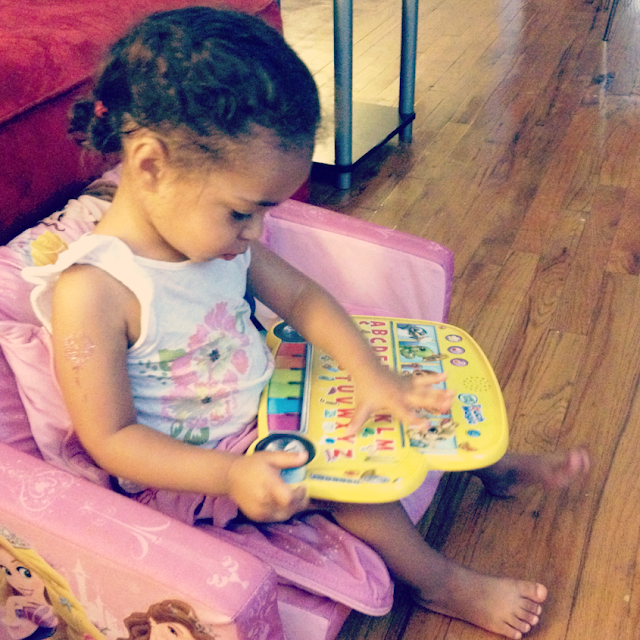 I'm also impressed that Zion, at 2 years, really gets into the game mode - where she can hunt for either a letter or an object according to what is asked. This Learning Bus letters toy keeps her attention and strong focus for anywhere from 10-20 minutes at a time - which is perfect for her age. We loved having the opportunity to explore the features and enjoy this new learning tool/toy! This post is sponsored by LeapFrog. 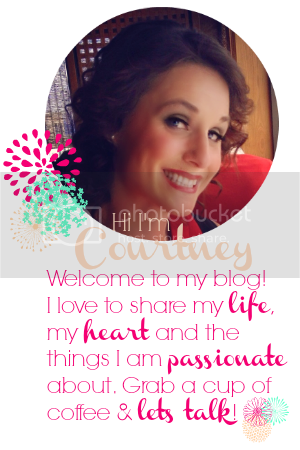 I was selected for this opportunity as a member of Clever Girls Collective, and the content and opinions expressed here are all my own.